Friends of Lakewood (FOL) is the Father’s organization associated with Lakewood Elementary. We are a 501c(3) organization that has been providing for Lakewood Elementary since 1982. Our membership is over 1000 strong and is comprised of dads that are dedicated to enhancing the educational experience of the students of Lakewood Elementary School. FOL engage the students in many different ways, including, but not limited to, Math Maniacs, Math Olympiad, Camp Lakewood, and our annual Field Day activities. Friends of Lakewood raises over $100,000 each school year. These funds were procured from generous FOL Cornerstone Members donations, Camp Lakewood outings, Dallas Mavericks/Dallas Stars Lakewood nights, and several other events. All funds raised are invested back into our campus, kids, teachers and community. To join, simply click the Join link above. Want to take your FOL experience to the next level? Join our elite group of FOL Cornerstone program dads. Dads meet at school every Tuesday morning before school to run through math drills with students in attendance. All first through fifth graders are welcome to attend. At the end of the year, the dads host the Math Olympiad and recognize students on each grade level for outstanding achievement in math. Each day of the school year, two crossing guard posts (on Wendover Rd) are filled by FOL volunteers.This is a very rewarding commitment, and a wonderful way to show our presence on campus. 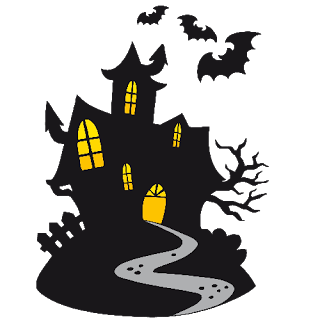 LWE's Fall Carnival provides the stage for our famous, and highly anticipated, FOL Haunted House. FOL members build, operate and are the chief scarers for this attraction. For both Fall and Spring Carnival, FOL members are involved in manning booths, selling concessions, set up and tear down. This wonderful event is 100% provided for by Friends of Lakewood. Every student looks forward to field day, as it allows children to be competitive as well as cheer on their classmates in a format which is rewarding to everyone involved. Some dads even schedule vacation days and come out to help man this competition! The White Rock games allowed FOL to raise $8,000 this year. Lakewood Elementary had more participants than the other school! FOL helps in the coordination and volunteering efforts, as well as marketing the event to all Lakewood Elementary families. Our signature bi- annual events of the year. Camp Lakewood Fall and Spring events are open to all students at LWE, this father/child campout has proven to be our biggest fundraising event every year. Camp Lakewood has proven to be a wonderful way for our fathers and their children to bond with each other and their peers (campfire stories anyone?) FOL sponsors, plans and coordinates all aspects of this event.